Talks & Film Screenings & Class Visits…Oh My! I have been lucky enough to spend the last two days at Dalhousie University, and getting to know some of the amazing students and staff in the College of Sustainability and the Children & Youth in Challenging Contexts Network. There’s some really exciting and innovative work and research happening with these groups, and it was a pleasure to be here. Yesterday I gave a seminar talk about the IlikKuset-Ilingannet/Culture-Connect program in Rigolet, Makkovik, and Postville, and showed the attendees the great video the youth made with Jordan Konek from Konek Productions. I’ve posted it on my website before, but I enjoy this video so much, I’m posting it again. 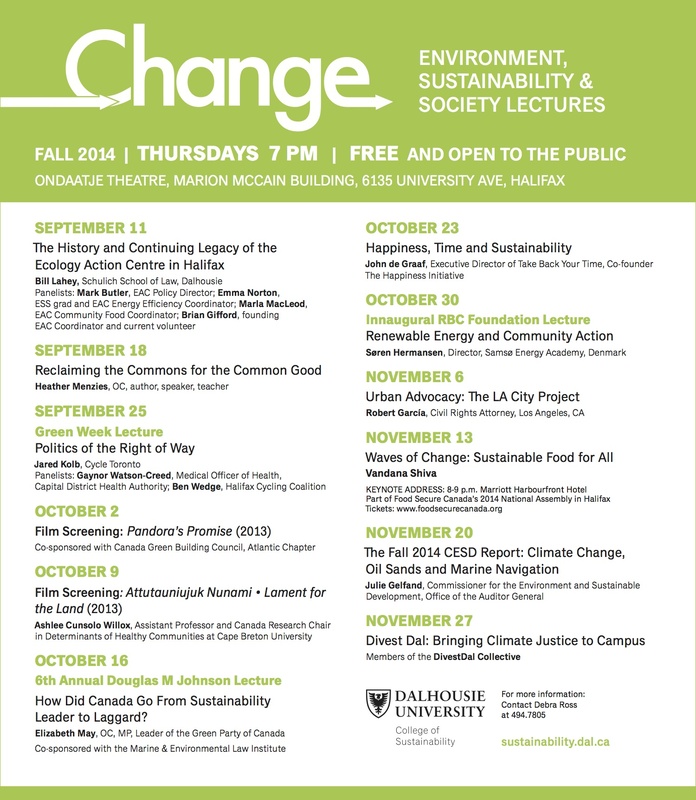 Yesterday evening I had the great pleasure and privilege of giving one of the Environment, Sustainability, and Society Lecture Series talks, about our research in Nunatsiavut on Climate Change and Mental Health, followed by a screening of Attutauniujuk Nunami/Lament for the Land. There were over 200 people who came out, and it was an honour to share our research and our film with such an engaged group. Today I get to hang out with two classes, Advanced Environment, Sustainability, and Society Topics (taught by Georgia Klein) and Trends in Health Promotion (co-taught by Lois Jackson and Debbie Martin). Thanks for a great visit, everyone! Looking forward to visiting again soon!